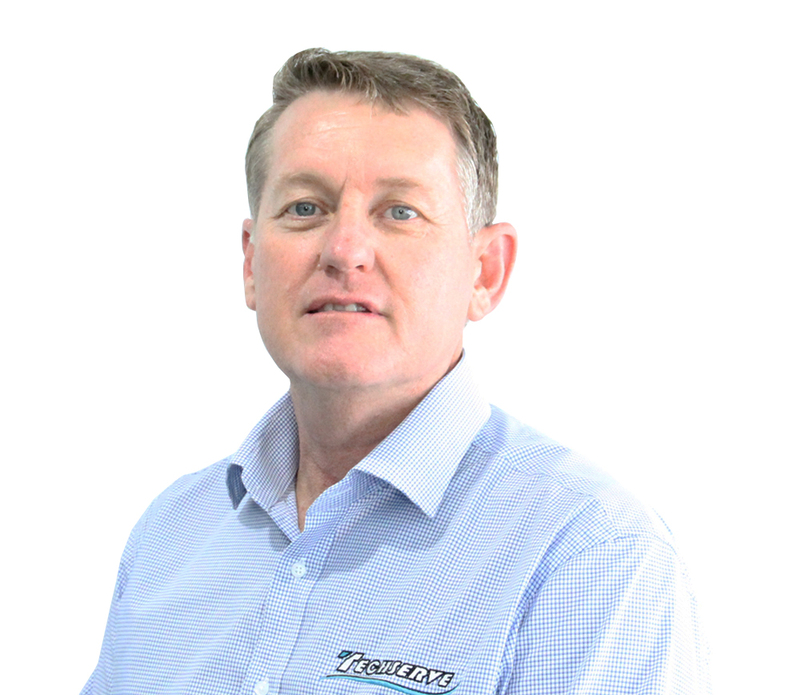 Tim brings over 30 years of experience in the mining, mineral processing and heavy engineering industries to Techserve. After a brief flirtation with the Economics faculty of Queensland University, Tim began his mining career in his home town of Charters Towers. The first 11 years of Tim’s career were spent working at various metalliferous mines in Queensland’s North – West Mineral Province. After a career in operations as a Fire Assayer, Gold Room Operator, Underground Miner then Underground Shift Supervisor he took on a Safety & Training role at an underground metalliferous mine. For the next 8 years Tim held Safety, Training or Risk Management roles for owner or contracting firms in coal and metalliferous mining and chemical and mineral processing sectors. The last 12 years of Tim’s career has been spent in senior executive roles managing vibrant, responsive and reactive service, maintenance and heavy engineering businesses. This experience extends to managing significant contracting organisations across minerals and gas sectors. Tim holds a Bachelor of Business & Commerce from Monash University majoring in Strategic Management and is a Board Director of the Resource Industry Network (RIN).